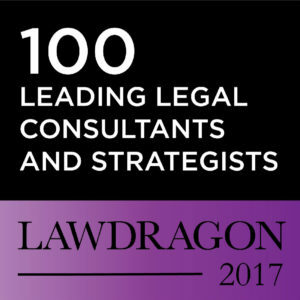 Proventus Earns Back-to-Back Honor from Lawdragon as Top 100 Legal Consultant in U.S.
Proventus Consulting is pleased to announce that founder Burton Taylor has been named for a second consecutive year to Lawdragon’s 100 Leading Legal Consultants & Strategists for 2017, which is an honor that recognizes his leadership in delivering an alternative to the industry – a Midwest-based legal marketing, public relations and business development agency that is in its fifth year of doing business with law firms across the nation. Lawdragon is a legal media company that has grown a national reputation for recognizing the industry’s leading lawyers with its Lawdragon 500 Leading Lawyers in America, which highlights the 500 most captivating attorneys and the work they do across the nation. In addition to being recognized by Lawdragon, Proventus was honored by The National Law Journal as the No. 1 Public Relations Firm for Law Firms in its inaugural Best of the Midwest rankings in 2016. The National Law Journal also honored the firm for its strength in social media as well as crisis communications for law firms. Proventus Consulting is a marketing, public relations and business development consultancy that specifically serves the legal industry – we are fortunate to represent several of the world’s largest law firms, as well as the legal community’s most well regarded boutiques. Our team comprises a group of former in-house legal marketers who leverage their law firm marketing experience to develop and execute on strategies that drive business development outcomes for our clients. Proventus partners with clients on cost-efficient and effective marketing strategies.